Netherlands to cancel 3 F-35s? Re: Netherlands to cancel 3 F-35s? suppose to be because of the exchange rate with the Dollar, even though much of the Euro F-35's are made in the Euro zone. VSMUT did you read the article you quoted? It clearly says the reason for any potential inability to afford the F-35 is because of currency fluctuations. As for the price increases to the F-35, the facts present a different story. An increase in the price is an increase in the price, regardless of the reason. The price any nation pays would still be in US dollars despite the work done in Italy, the UK and other locations. This is swings and roundabouts though, the currency will go up and down as it has demonstarted over the last ten years. Isn't that the cost without engines or support costs though? At least that's what i remember hearing. 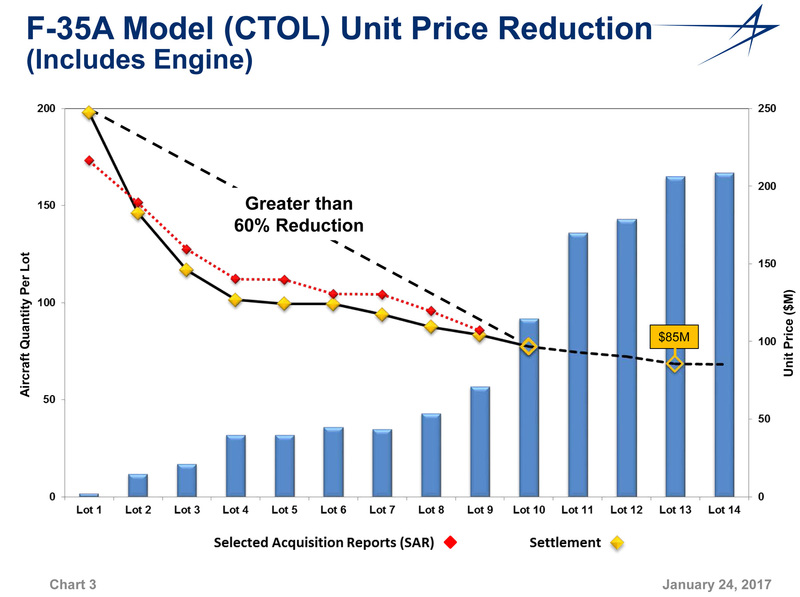 The slide clearly says includes engine and it is a fly away cost. Two issues with your comment, first the above chart is from LRIP 1 to LRIP 10 so when the F-35 does hit FRP the percentage will be obviously higher. Second, I fail to see what relevance there is in comparing the development of a 5th gen fighter to a commercial transport aircraft? I don't understand what you are saying and what good it will do, could you elaborate on this a bit more? The program costs are the expected costs that are made during the entire time the JSF is used. So buying the aircraft and engines, as well as the costs for kerosene, maintenance, staffing, upgrades, support equipment etc that are needed for the next 30 or 40odd year. Those figures would of course be significantly more expensive then only looking at the money needed just to buy the aircraft and engines. Of course some of these costs will be made regardless. You need spare parts and staff to operate your jet, whether it is a JSF, Typhoon, Rafale, Grippen or F-16. But of course these are not all the same, for instance: the Rafale and Typhoon likely need more fuel since they have two engines, but the spare parts for a JSF might be more expensive then the parts for a Rafale. I do not think information is available to the public. The Dutch would be wise canceling the F-35 in favor of the latest Gripen variant. That boat has sailed a long time ago. In what way would a Gripen E be better suited to the Dutch over the F-35? Which price? It certainly won't be acquisition, the price of the Gripen E sold to Brazil was significantly more than that being paid by F-35 nations and no one else has bought the jet other than Sweden. As for operating costs, no one knows what the Gripen E will cost. It is bigger, heavier and more complex than the Gripen A/C. It may cost less to operate than an F-35 but it is also significantly less likely to survive in a high threat environment as well as likely require additional upgrades over its operating life to maintain some capability against high end threats. The question then is, do you buy something cheaper to operate but unlikely to survive, in the hope you will never have to use it, or buy something that may be more expensive to operate but with a far higher chance of survival? In what should be no surprise the Dutch Ministry of Defence have announced they will be buying the last three F-35s to the initial quantity of 37. The Netherlands buys the remaining 3 F-35 fighter aircraft. With this, the Netherlands confirms the purchase of at least 37 aircraft. That is what Secretary of State Barbara Visser announced today in a letter to the House of Representatives. The full operational deployment of the Dutch F-35 fleet is scheduled for 2024. In order to guarantee this, the order must be confirmed at the latest this month. * the different lot numbers represent the successive production series. Due to the lower unit price for Lot 11, the new plan exchange rates and the risk reserve of € 120.8 million, the purchase of the F-35s is now financially feasible. As is well known, the F-35 Joint Program Office aims for lower prices. This happens in 3 ways. In the first place, costs decrease due to higher numbers and the increased production experience. Secondly, production costs decrease thanks to investments. Thirdly, a multi-year purchase has a positive influence on the unit price. In the coming years, it will be clear against which dollar exchange rate the commitments still to be entered into will be concluded. Financial coincidences or setbacks in the project (including currency fluctuations) are absorbed through the risk reserve, the foreign exchange reserve and the investment program of the Defense organization. A lower Lot 11 price for the eight aircraft acquired in that LRIP buy and a new currency rate are the primary reasons for the ability to buy the final three but that lower Lot 11 price obviously translates to lower subsequent Lot pricing as well. Interestingly enough the Dutch will acquire almost their entire fleet of F-35s before the jet enters full rate production (with Lot 15 currently expected to be the first FRP lot). With the jet getting cheaper and more capable through Blk 4 it may also open the door for additional aircraft to be acquired in a similar method to Dutch orders for the F-16. The F35 is at another level compared to the latest Gripen. I was suspicious of the F35 for a while, but I'm not any more. The Gripen or Eurofighter or F-16 work out if you reduce the mission requirement to basically being able to say that yes you have a fighter force and maybe some defensive counter air. They are all fine for doing work unopposed in Afghanistan as well. The price equation changes quickly if you factor in everything you need to successfully strike against an opponent with real capabilities. You can do that with a Gripen or Eurofighter. You just need massive stand off jamming support, heaps of ARM’s and decoys and lots of high end standoff weapons. And none of these lifetime cost equations ever seem to account for the cost of suffering much higher losses in a combat situation either which seems somewhat relevant. I thought it was worth posting this article in this thread, to complete the cycle as it were... Not quite 2019 and the decision is being made to increase the order quantity. 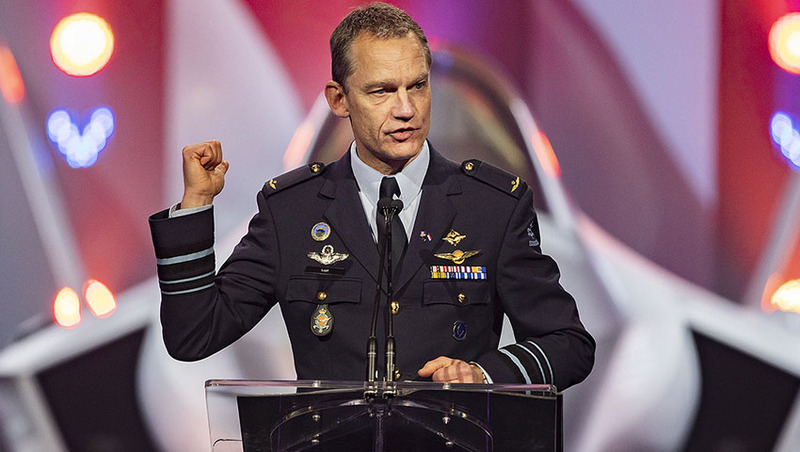 he Netherlands pledged Friday to boost its defense spending in the coming year to buy more F-35 fighter jets and strengthen its special forces and cyber capabilities, officials said. "Extra investment in defense is a necessity because our surrounding safety zone has become a more instable place," the Defense Ministry said. "There are more threats to contend with and threats have become more complex," it added in a statement, issued after a weekly cabinet meeting in The Hague. This included looking at purchasing 15 more advanced F-35A fighter jets made by U.S. manufacturer Lockheed Martin, Defense Minister Ank Bijleveld told the ANP news agency. The Dutch have already purchased 37 of the pricey stealth fighters, which are expected to become operational next year. The number is enough for two squadrons, but NATO has insisted on a third, the ANP added. The F-35A comes with a current price tag of $89.2 million (78.9 million euros), according to Lockheed Martin. Both U.S. President Donald Trump and NATO chief Jens Stoltenberg have called on allies in the defense bloc to increase their defense spending, and member states in 2014 agreed on the goal of spending two percent of GDP on their militaries. "This plan shows that cabinet is serious about the current threats. The Netherlands must take steps to show it will remain a reliable partner," Bijleveld added. The plan also consists of improving "land and sea-based firepower" and beefing up special forces and cyber warfare capabilities. Details of the plan and budget will be released in the spring of 2019, the Defence Ministry said. The article does raise the question if this is merely to spend money and appease their US allies, instead of a real operational need. Sure, although I think the statement is more about meeting NATO spending commitments than appeasing the US directly, especially given the Netherlands hasn’t spent near the 2% goal for more than 15 years. I doubt the US would care if the Dutch determined that buying another four frigates to increase their spending was better overall than more F-35s. The difference is the F-35 is politically a good option for participation in future conflicts so IMO it is an easier sell. Caption suggestions for the below graphic? Having attended too many pantomimes I hear the crowd yelling "it's behind you..."